Every off season I look for new things to research for personal use as well as old resources to re-watch to consider adding to my offense. One thing I have been reviewing this off season is the use of the Bunch Formation. Andrew Coverdale and Dan Robinson came out with DVDs years ago that focused on the Bunch Attack. 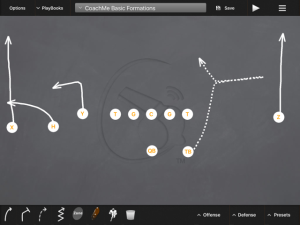 Over the long Winter break from school I watched 2 of their videos on efootballflix that focused on the bunch formation. Their original video focuses specifically on a concept they call “Mesh” from a 3 man bunch. While watching the National Championship game I saw Alabama run a play and thought “wow that looked just like Bunch Mesh”. After replaying it several times my thought was confirmed. Here is a basic diagram of the concept. #1 has a whip or pivot route. He will work inside aiming to settle at 6 yards. He can sit down in open space or burst back out toward the sideline. Coverdale and Robinson read this as a THROW THE FLAT FIRST type of concept. 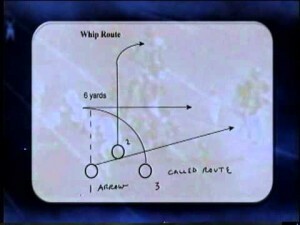 They want to get the ball to the flat route immediately and work to throw the whip or corner routes as 2nd and 3rd progressions if the flat is taken away by a defender. For those that use R4 you would likely teach it as rhythm corner, read whip, and rush flat. Alabama starts in a balanced 2×2 set. With a quick motion they put OJ Howard into an H back/Fullback position which gives them a 3 man bunch. By condensing the split of the WRs to the wide side pre snap, Alabama has brought the Corner and Safety further inside. Before the snap, and at the catch Clemson has 0 defenders between the hash and the sideline. On an NCAA field that is 20 yards of width! #1 works inside and sits, he is covered but he sits because the playside LB is either on a blitz or is attacking Derrick Henry. When i first watched the play live I thought it was a play action off of stretch but there is no ball or mesh fake from Coker and Henry. However Coker moving that direction, and Henry attacking the LOS give it a feel similar to play action and you see an aggressive response from the playside DL and LB attacking the backfield. #2 works vertical and runs a flattened corner route against the safety. #3 OJ Howard gives a slight chip to the DE and gets to his flat route. Their is pressure in Coker’s face but just like Coverdale wants when teaching the Bunch Mesh, he hits the Flat immediately. The Safety takes #2 going vertical. The corner (who is inside the hash mark due to formation) stays on #1’s route and it leaves no one to cover OJ Howard in the flat. Bunching WRs and condensing the formation are powerful tools for an offense to help confuse defenders and free up guys by creating natural picks against man coverage. The trips bunch formation is notorious for causing coverage break downs leading to wide open targets. I get messages at least once a day asking me something football related. This off season I would say the number 1 thing has been asking how to teach vertical setting. I have written articles in the past on vertical setting and drills for pass pro but I want to use this article to tie it all together. This is the order I would go about teaching things. Vertical setting can and will work in any type of pass protection scheme. I have used it and seen it used at the HS and College level in BOB, half slide, and full slide protections. Pick a scheme (maybe have a 2nd as a change up or adjustment) and beat your rules in to your kids head. Vertical setting is great, the best thing since sliced bread, but if you flat out don’t attempt to block a defender because you’re kids don’t know who to block, or more importantly, where their eyes need to be, it won’t matter if you back hand spring set… you’re QB is dead. Colleges and vertical set purists have been using a 4 step vertical step approach )inside out inside out) as far as I know since it’s invention. My original Vertical Set post explains this. Middle of 2 seasons ago I adjusted ours to a 2 step approach. 4 steps was getting us too close to the QB’s face and he felt uncomfortable and I felt we could still do our job with 2 steps of depth. I dubbed this technique Vertical Set 2.0 because it was the new edition and used 2 steps. You need to decide what is best for your kids. If I was brand new to it I would work 4 steps initially and see how the OL and QB felt with it and then adjust it to 2 steps from there. I believe, in the beginning it is best to have the kids flying backwards. I like to have them go for more yardage or steps than I would ask in a game when we first teach it. My thought is similar to track coaches who train their 100m kids by running 200’s. After doing all those 200’s, the 100 seems easy. Same thing with setting, after working back for 5 yards, or 6 steps, doing our 2 step vertical set is faster, and feels more comfortable to them. Below is a video of my kids setting for depth (6 steps) followed by our wave drill. Sorry the video starts a half second too late. The next thing I would get really good at is wave drill. You can work a ton of kids at once. You can burn some muscle memory in to them. You are teaching the kids how to step to cut off an inside rush move or a move to their outside. I refer to them as Power Step and Slide Step. The Power step is a hard step, 45 degrees up field and inside with a powerful inside hand punch to cut off a defender. The Slide Step is a pretty traditional kick slide backwards and out at a 45 degree angle to continue getting depth and widening a defender should rush your edge. This drill is great for checking kids pass pro posture, hands, body position, stagger, and their footwork. This clip below shows the kids after a squat day (you will see their signs of leg fatigue). Here I have them all working one side (same stagger and stance), once we get rolling and kids know what position they will be playing the most and where they will be getting most of their reps we will just line the kids up and they will use the stagger of their position. I just point to a side and for half of them it would simulate an outside rush more while it is an inside rush to the other half of them. Next I introduce our mirror drill. This helps them reinforce keeping good body posture and moving their feet laterally to “mirror” their defender. Here is a LINK to a post I did a while back on the mirror drill. We eventually progress to working mirror, and then I yell HIT, on HIT the defender rushes and the OL has to execute a punch. The next drill I use is what I call “Partner Sets”. We get a lot of good reps in this drill if the kids will work each other. We partner up and designate one guy as the OL, one as the defender. On the OL movement the defender will rush and pick a side working 1 move. The OL has to Set, incorporate part of wave and mirror drill to stay head up with the defender, punch the defender, and work his feet to cancel this first move. As the kids improve at this drill I then allow the defender to work a first move followed by a counter. This can be a great time to work kids on the moves you see most from an opponent, or a specific defender’s best move and counter move. By this point we are pretty close to letting them go full out and put it all together. We will work live 1 on 1s next. I think of this as the test of how well I have taught them. They will need to use things they’ve learned doing all of the above drills to be successful. As long as you have been chalking, walking through, and teaching your specific pass pro scheme(s) your kids should be able to execute the blocks now. You can include the RB and QB if you like, or just keep your OL by themselves, whatever works best for you. Now you will use a full defense to bring pressure (combining the 1 on 1’s into a 5 on 5 situation for your OL, or 6 on 6 if you add the back). You are evaluating where their eyes are and the blocks they are making. My biggest piece of advice with this drill is to have your fronts/stunts/blitzes pre printed out on cards. This is something given to you in TFS but it could be made in PPT in an hour or with HUDL in probably even less time. Make a card for everything you even think you could possibly see. Make a copy for each of your lower level coaches as well. Put them in a binder, keep it in the ball bag, your trunk, your briefcase… whatever. It makes going through and getting the reps so much easier when you can hold it up rather than talk to the defense and see where to go. If you are fortunate enough to have an assistant helping your OL or an injured kid they can be holding up the card for the defense while you are coaching up/correcting/praising your OL in the drill. Here are some other drills from a post a did a couple of years ago. Posted in Offense, Offensive Line, Pass Game, pass protection, Spread. Well we are nearly done with Spring Ball. We have 1 practice left tomorrow and then we are off for Finals. I talked about R4 installation with my kids in the past. Now that we have some of our base concepts in and I have had a chance to look back and reflect on things the QB who is distancing himself from the pack is the one who understands R4 the best. All 3 are struggling with their mechanics at times, but that is too be expected… they just haven’t thrown the football that many times. QB1 has really started to think in terms of R4 non stop. Our final practice last week he really began to hit some rhythm throws he was missing in the past because he was finally relying on post snap confirmation while looking into his vertical tube. He hit 2 perfect corner passes in a row on our snag concept (when tried to pre snap cap, and then fly up to jump the flat route, thus uncapping the Corner Route). You could see the light bulb go on in our QB’s head. When I saw him this morning at school he told me he had been thinking about that play and R4 all weekend and that he really felt like he had it now. My other 2 QBs are still a little bit behind in their mental R4 processing but I have some extra chalk/film sessions lined up with them once we are out of school. I just wanted to share with all of you who are still curious about R4 or installing it for the first time as well, the power is real. We are hitting more vertical routes (Corner, Seams, Posts, Go’s) than ever before. Posted in Offense, Pass Game. Football season doesn’t end in November/December for me. I do almost as much work in the off season as I do in season. Like most coaches I attend clinics, watch videos, research online, and just try to talk to as many coaches as I can. I am like a sponge and I try to absorb as much information as I can, doesn’t matter to me what it is about, I just like to learn about football. One of the biggest things I researched this off season was the R4 system created by Darin Slack and Dub Maddox. I feel like I am getting to this party a little late but as they say “it’s better late than never”. When reflecting back on last season I was probably most disappointed in our drop back pass game. We ran the ball well most of the time, we sprinted out well, but we just could not complete passes consistently from the pocket. We could not stretch the field vertically in any way. Eventually teams stopped defending vertical passes, loaded the box, and we couldn’t do much. I knew I had to find a way to hurt teams in the air. I have owned the R4 DVDs for over a year but didn’t feel I understood it well enough to install it last year. I knew that devoting a lot of time and energy yo the R4 system would be the best thing for us. So I watched my R4 videos over and over until it sunk in. I bought the iBook “From headset to helmet” to further my understanding of the system. After reading it twice, and watching the videos three times I felt I had a good enough understanding to teach it, install it, and make it our system. The first thing I had to do was dissect our playbook. I had my ideas of what concepts I liked best and wanted to run, but now I had to put everything in to R4 terms. This meant some concepts had to be adjusted just slightly, I had to change some route DNA to fit into R4. I had to adjust our teaching from yards for WR routes into steps, to time things up better. Once I had our concepts properly aligned with R4, I had to begin teaching our players and coaches. This is what I have started doing and will continue to do until spring ball. Right now we are all about our lifting program, we are saving anything football related until spring ball. However in my mind R4 has a lot material that has to be understood before you begin installing plays. I felt that our QBs would need a head start on everyone else. Installing R4 requires a lot of work upfront but once the kids understand the concept of what R4 is, it can be applied to the entire playbook. 2 weeks ago I began meeting with the QBs every Monday night after weight lifting/baseball practice. Each night I have had 2 QBs from each grade level there. We go at night because 2 of our QBs are on the baseball team and that is the only time they can make it. The first thing I did was buy each QB a spiral notebook. I got them for a buck each and I feel that they are more likely to learn the system and retain information if they are the ones writing things down and drawing it up rather than if I printed them off my powerpoints or diagrams. I began by drawing and explaining all of the necessary terms and information for R4. We discussed the 5 vertical tubes, hard deck, pre snap cap. We discusses the ideas of cushion and collision. 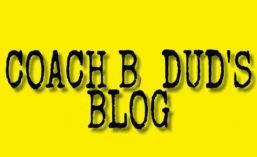 We discussed the timing of Rhythm, Read, and Rush routes and how it matches up with their footwork. We discussed why certain plays fail and what defenses do to stop us. We discussed how to read coverage. We discussed their timeline vs man and zone. We discussed a lot. I didn’t throw all of this at them at once, we went slow, I encouraged them to ask as many questions as they could, and believe me they did. Now we are at a place where the kids have at least an elementary understanding of how R4 works, how they will use it, and how their decision making is sped up by using it. Last week we installed our first play on the board…SNAG. I think by now everyone knows that Snag is my favorite play, so of course it would be the first that I install. We went through the play over and over again and how the R4 elements apply to it. Every kid left this past Monday with an understanding of the Snag concept that was light years ahead of how we were reading it last year. My 2 returning varsity QBs (both were backups but got game snaps last year) left the room saying, ‘Coach, we really like this”. Now we will continue to install 1-2 concepts each Monday night until we get to spring ball. I have my schedule set up so we are installing similar plays to help in the learning process. I am excited, the kid’s are excited and I KNOW we will be a much better passing team than we were last season. I do not know if a combination of routes and reads can necessarily be defined as “for spread teams” or “for pro style teams”… to me they are just moving players and manipulating the defense. But I decided to take some plays that are widely viewed as “spread” plays and break them down from an under center 21 personnel offense. I drew up split backs because the RBs are balanced and I have some experience in a pro style splitback offense. However these concepts could just as easily be used from any other 2 back formation… I do think it is easier for a FB to release if he is offset those extra couple yards than compared to being straight behind the QB. Each of these plays is a part of most spread passing arsenals… they are the most popular plays I see being talked about by spread people. I think each of them would work just as well in a 21 set and could be done off of straight drop or play action. I am by no means an R4 expert but I will do my best to put the concepts into it’s terms. Seriously, did you guys think I would write about anything else before bringing up Snag? If you have followed my activity recently you have probably seen how enamored I am with the 3 man snag concepts and variable tags on the backside. I just think it is a money concept. In my mind it is just as potent in a pro set. TE has the Corner route, this is our Rhythm. The snag by Z is the Read. 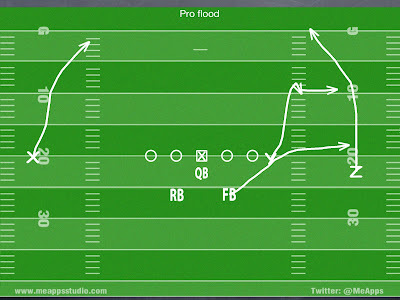 The playside RB has a swing (or shoot) route to provide the Rush horizontal stretch on the #2 defender. 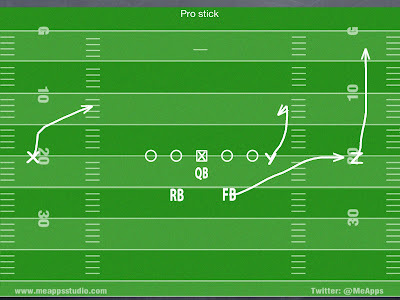 X route on the backside can be a quick slant or snag route as a base. I have it drawn with a Dig tag to exploit middle LBs who want to cheat to the 3 man side. The backside RB can be left in for protection or run a swing to the backside for a 2 man snag combination. 2. A similar 3 man triangle concept… Stick! This concept is essentially the same as Snag as it has the same reads for the QB, and attacks the same grass, it merely inverses who the deep route and the settle routes are and is a great way of getting the ball to the TE (or slot depending on formation) the ball quickly. Z has an outside release GO and is our Rhythm. Y has the Stick and is our Read. 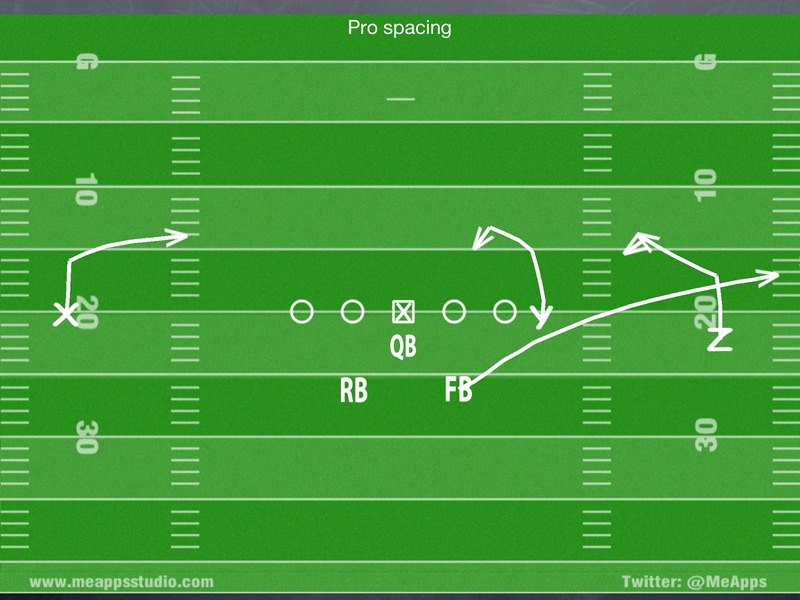 The Rb is again the Rush route on a flat/shoot/swing whichever you prefer for a horizontal stretch. I have X drawn up on a slant for the possibility of working that 1 on 1 matchup should you desire. 3. Spacing is a very popular quick game concept with many coaches. There is no vertical stretch but we are able to put a lot of pressure on the defense to cover horizontally. Y is our Rhythm and has the Spot/mini curl, Z is the Read with the Snag route (carry over teaching from Snag Concept) and again our RB provides the Rush with his flat/shoot/swing. I drew it with the same X slant as above to work 1 on 1. 4. Now on to a vertical stretch. I love the horizontal stretches given by the plays above but a vertical stretch play is a necessity in my opinion. The simple flood concept is easy out of a Pro Set. This was our best concept when I was at my first coaching stop. 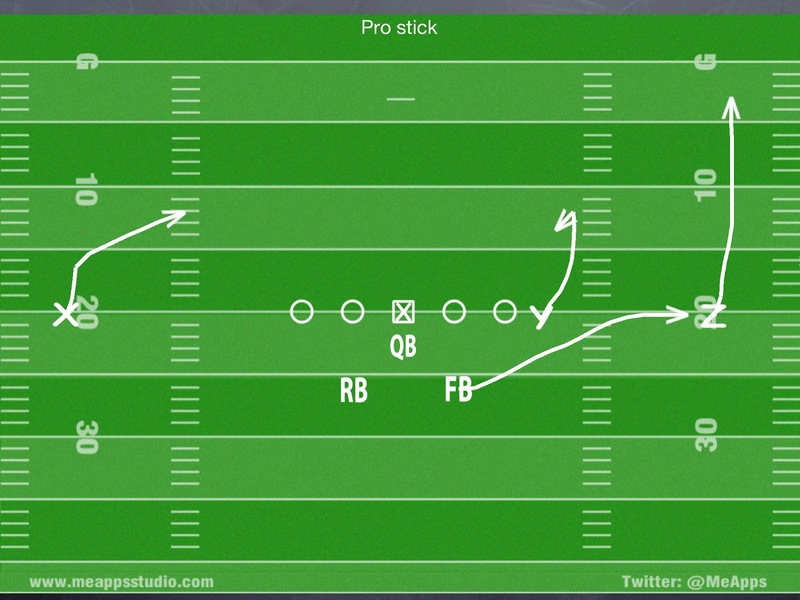 Z has a skinny post, I used to run this as a GO but I like the idea of running a Skinny post instead to occupy a safety lined up on the hash… keep him out of the picture of that out route. That skinny post is our Rhythm. Y has a 12 yard out and is our Read. RB is the Rush with another flat route. 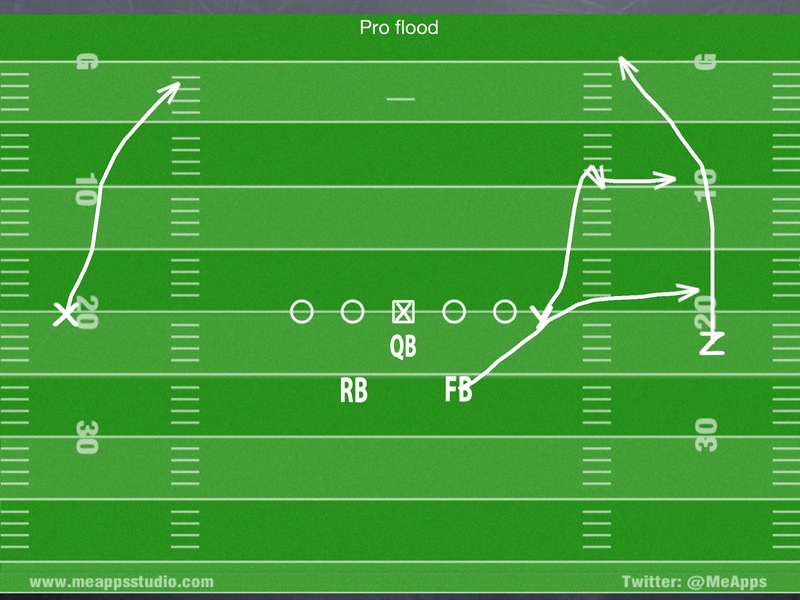 Works great off of a play action half roll action with that RB setting up faking a lead block then leaking out. Key is to work the timing in practice and keeping proper spacing between Y and the RB. There needs to be vertical spacing (Y at 12, RB on an angle to 3 yards at the sideline) and Horizontal distance between them to increase the chances of hitting one of them. Backside can run a post or dig route that we can capitalize on later in the game when we see an over reaction. 5. Finally I want to touch on 4 verts. So far everything I have drawn has involved the RB releasing on some sort of flat route from the backfield. 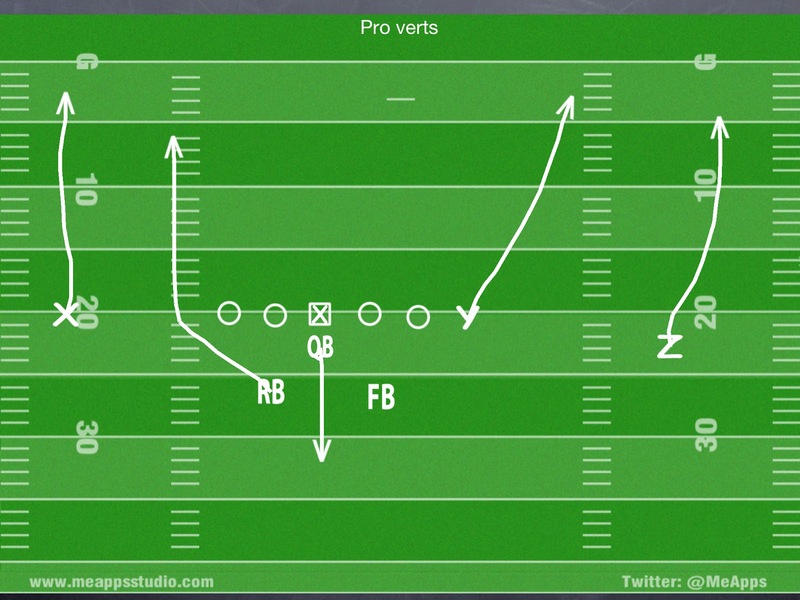 Verts is a great play that not many 2 back teams run, or can only run from one of their 1 back sets and somewhat give it away. I think it is reasonable to be able to run it from a 2 back set with the right field spacing. X and Z own the numbers. Y has the right hash.. and ideally we run this play from the left hash or close to it so the RB can start his flat route and turn it up the hash… this route is very difficult to cover from a defense’s perspective. It should fit in with our timing because the Y is our rhythm and always our first read… We want to zip that ball in to him as soon as he clears the OLB every time… then if we see that taken away by collision or FS jumping it we move to our Read… the left hash vertical (Rb from backfield). The Rush is the backside RB checking down. Coaches can use tags to work reading an outside vert first if that is the match up you prefer. My final note is that on any of these concepts with the Rb getting out… We can always tag “Wheel” to convert his route into a flat then up the sideline… this is a nice constraint off of his usual flat route and can hurt the defense that wants to jump his flat route. Make sure any other deep route to that side is converted to a Post or Dig on this play so we don’t have 2 men running their routes into one another. For example if we worked that 3 man snag with a “wheel” tag… Y would run a Dig… because a corner would put him and the RB (wheel) into each other’s way deep down the sideline. Posted in Off Season, Pass Game, Pro, Spread. Here are some more recent thoughts of mine. They might look familiar. WR screen to the backside of trips. We have run “solid” screens for a while with OL zoning away but the new thing is pulling the guard to sell the power look. So now the defense sees Guard Pull and RB flow that way. The tackle has the key block because he starts his hinge block stepping to b gap and hinging, then has to get flat down LOS and kick out the Corner. The Center works laterally like a down block for pulling guard, then slides down LOS looking to pick up LB chasing it from inside out. Tackles have to understand the difference between a multiple WR side screen and a single WR side screen so they know to go flat and pick up Corner. When we release all of our OL we use the “out up in” method and this is essentially what they are doing… The Tackle has out, the Guard is pulling so he isn’t there but you don’t need the Up lead block because there probably isn’t an OLB to that single WR side. The center still has his in block because he is picking up the PSLB who has sucked in some from his run read. I like the idea of incorporating all “team” portions of practice mixed between individual drills. Pre practice, then tempo. Indys then some inside run. Back to Indys or group and then into team… I think it helps break up practice well. OL quick set, Tackle stayed locked on DE, while GCG released, just like my out, up, in I have described here in the past. The RB is taught to buzz his feet, then run his swing. I like running the screen this way because it is more believable to the defense. We free release RBs all the time, then on screen we ask them to step up to block, and sneak out through the hole… no one is fooled and last year our RBs sucked at getting out this way. 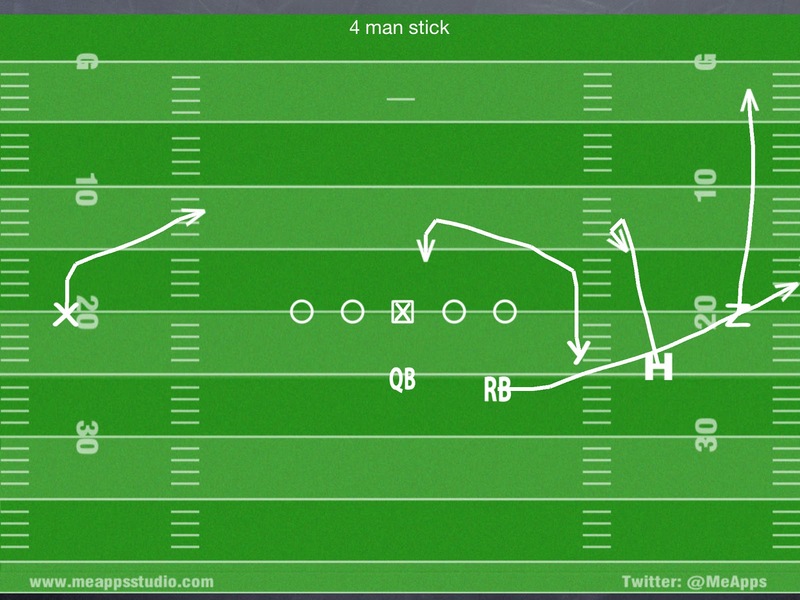 I love the Snag concept… it was our best dropback pass play in terms of completions. We need to improve how we run when we see man coverage but against zone it is money. We did not always pull the trigger, but I was amazed how it opened up almost every single time… It was almost all we could complete when we dropped back yet flat defenders still had to defend bubble and chase it, and the Snag would open up in behind them. We need to improve our completion % on this next year and I am going to alter the Snag runner’s route slightly. When we ran it ugly they broke their route off too shallow. In the future I do not want them to break in on their angle until they push vertical to 5 yards. I want them catching the ball at 8 yards deep not 5. Breaking too soon often got them coming too far horizontally. I do not want them coming near the Inside LB. I want to just pick on that flat defender. Most of the clips below are hitting the Snag route. There are a few times we found the back mixed in. Also a really nice TD to the RB after a jet sweep fake. Posted in HS Film, Offense, Pass Game, Spread.